I found a new addiction…. The Rasterbator. You take any picture you want and submit it, figure out how big you want the final product to be and it rasterizes it for you and sends you the pdf. The above is a picture of my eye blown up onto 18 sheets of paper… awesome. It looks weird up close, but at about 10 feet or so, it’s cool as hell. Next up, the 6ft picture of Hasselhoff and Gary Coleman… I’ll keep you updated. 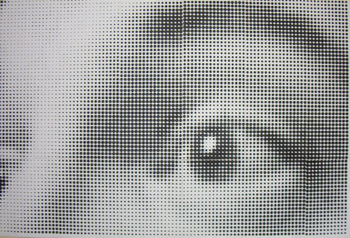 "Rasterbator" by Jeremy Felt, unless otherwise expressly stated, is licensed under a CC BY-SA 4.0 International License.